No. 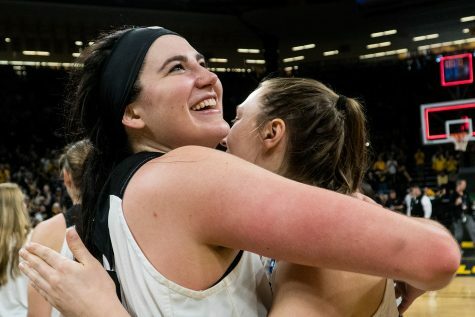 8 Iowa is primed for a big run in this year’s NCAA Tournament, according to the numbers. 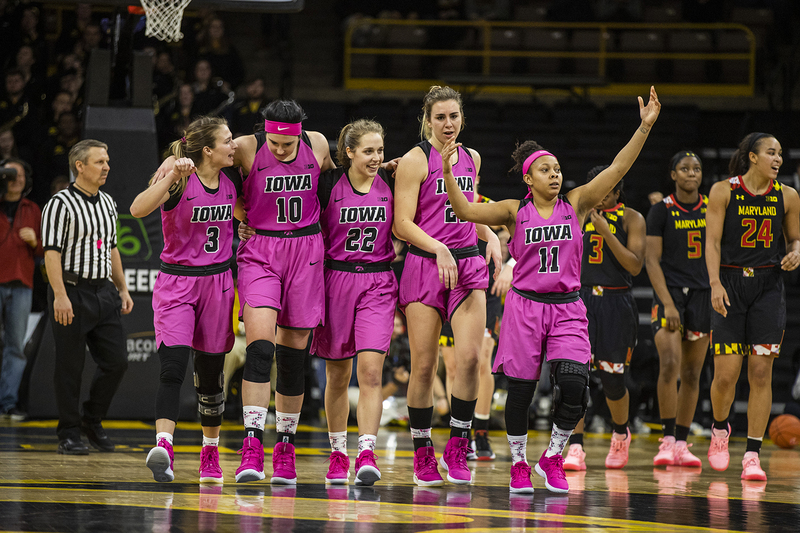 Iowa players walk together during the women's basketball game vs. Maryland at Carver-Hawkeye Arena on Sunday, February 17, 2019. The Hawkeyes defeated the Terrapins 86-73. As the No. 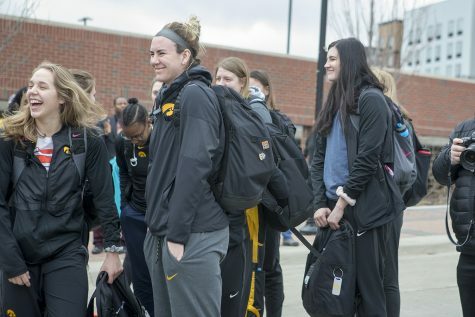 8 Iowa women’s basketball team gets set for this year’s NCAA Tournament, The Daily Iowan breaks down the Hawkeyes by the numbers. 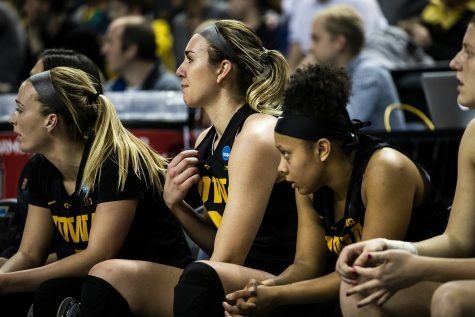 No statistic has been more indicative of Iowa’s success this season than its rebounding margin. The Hawkeyes are 24-0 when they out-rebound an opponent and 2-6 when they don’t. In wins, Iowa’s average rebounding plus/minus is 9.1. In losses, it plummets to -11.2. 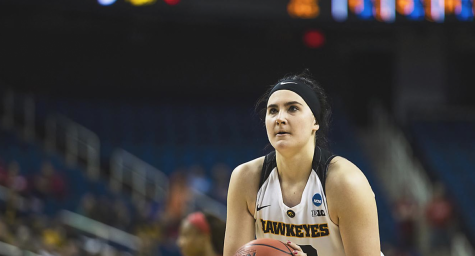 Some of its rebounding success is dependent on how well Iowa shoots the ball – less misses means less rebounds – and Iowa is incredibly good at putting the ball in the hoop. 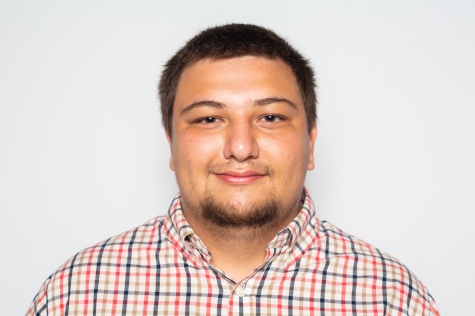 It’s top three in the nation in field goal percentage (51.9 percent), effective field goal percentage (56.7 percent), and points per play (0.99). 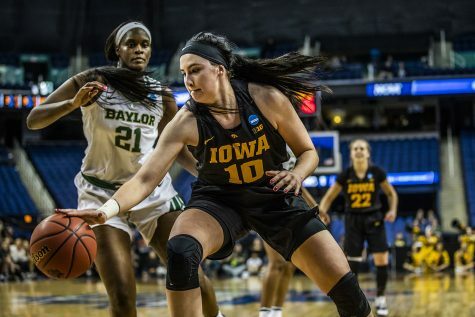 The Hawkeyes efficient scoring has helped them hold their opponents to the eighth-fewest defensive rebounds per game (20.5), however, they’re still a solid rebounding team. Their rebounding rate is 53.8 percent, good enough for 43rd in the nation. It will be paramount for Iowa to keep that up if it hopes to make a deep run. 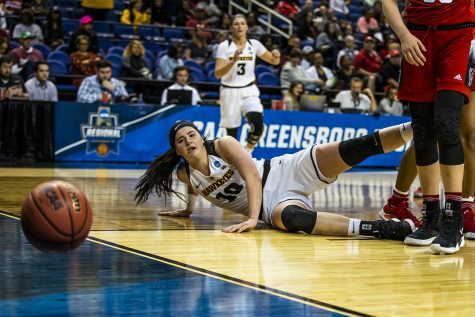 Megan Gustafson is arguably the best player in college basketball. 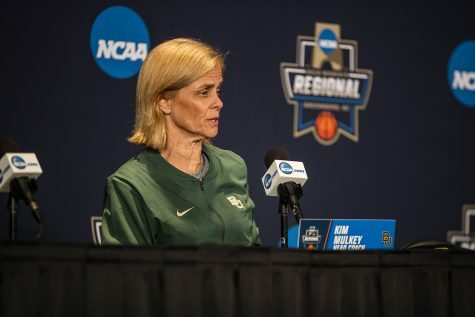 But as she would readily tell you, she can’t win the NCAA Tournament on her own. She needs her teammates to step up. For the most part, they have, which is a large reason why Iowa is in its current position. However, in all of Iowa’s losses, the absence of Gustafson’s support was apparent. Gustafson averaged 27.2 points on 69 percent shooting in wins while averaging 24 points on 72.3 percent shooting in losses. In other words, there’s no stopping her. The same can’t be said about her teammates. In wins, players not-named Gustafson have averaged 51.5 points on 47.1 shooting from the field and 36.8 percent from deep. Points are similar in losses, with everybody but Gustafson averaging 45.8 points per game. However, it’s Iowa’s efficiency that drops dramatically. 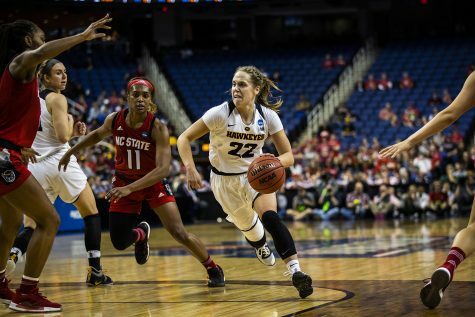 In losses, Gustafson’s supporting cast shot 38 percent from the floor and 25.5 percent from deep. That is a contributing factor in Iowa’s poor rebounding numbers in losses. 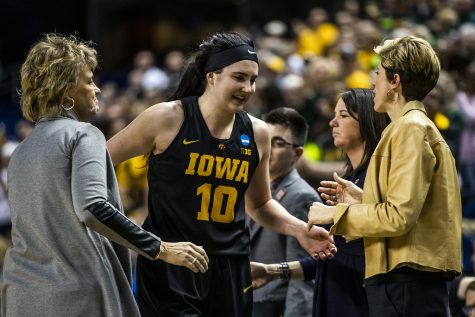 There’s little question that Gustafson will have a stellar tournament, but Iowa needs to compliment her to win games. 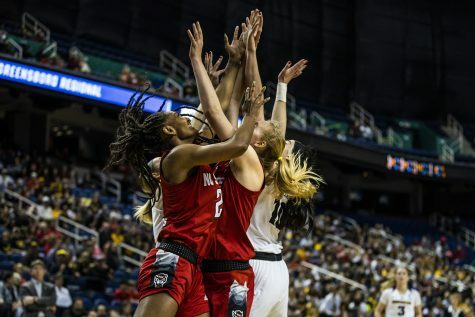 Hannah Stewart and Gustafson have done well at handling opposing post players on defense, Gustafson was even honored on the Big Ten All-Defensive team. While Iowa’s post defense is stellar, its perimeter defense hasn’t been as solid. It’s where opponents have been able to expose them this season. Overall, the Hawkeyes have been decent at defending the 3-point point arc. They’ve held opponents to 31.3 percent shooting from deep, but that is where teams try to exploit them. Iowa has seen its opponents chuck up 677 threes, which is the 37th-most in the country. Unsurprisingly, it’s the opposing guards that have posed the most trouble for the Hawkeyes. Eighteen times this season Iowa has held its opponents to less than 70 points. In those 18 games, the opposing guards have shot 26 percent from deep and averaged 32.1 points per game. In the other 14 games, Iowa surrendered more than 70 points and saw the stats grow wildly. It allowed guards to shoot 35.7 percent from deep and average a whopping 48.9 points per game. In short, the best way to beat Iowa is from the perimeter, and teams will continue to attack it there. That gives a reason for Kathleen Doyle, Tania Davis, and Iowa’s other guards to play lockdown defense.